Dear Friends! The month May comes to an end, the long-awaited summer is coming. Today I want to discuss and talk about plans for the very near future. 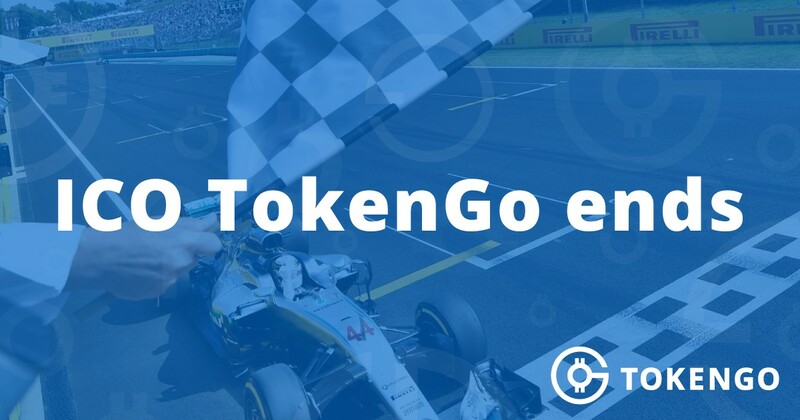 Firstly, today — May 31st, a very important day for us, as we are completing the TokenGo Bounty Campaign! A huge number of tasks were accomplished, all tokens allocated for the bounty campaign were distributed! The TokenGo platform sincerely thanks the bounty participants for their invaluable contribution to the development and promotion of our ideas and congratulates them for the successful completion of this big and important stage! We hope that all of you will continue to work in this direction in the bounty-campaigns of our partners! Secondly, I want to answer one of the most frequently asked questions! Is it possible to withdraw tokens now? Yes. Tokens can be withdrawn! Moreover, you can display both the tokens that you purchased during the ICO process and the tokens that were received for performing the Bounty Campaign tasks. For the withdrawal of the purchased tokens, it is still enough to file the relevant application in your personal account. The withdrawal of tokens is carried out within 24–96 hours. Commission for the withdrawal of purchased GoPower tokens is paid for by TokenGo. After you pay a commission of 0.00107066 ETH (approximately $ 0.62) and provided the fact that ETH GAS Price is not more than 20 GWEI, the GoPower tokens withdrawal is performed within 96 hours. Gas is the unit of commission payment for any operation on the Ethereum platform. This commission is the amount needed to make a transaction to transfer GoPower tokens. Since the cost of gas is constantly changing, the amount of commission charged by the TokenGo participant is fixed in ETH. In the event that the gas price exceeds 20 Gwei at the rate, the transaction will change the status to “waiting” and stay in it until the gas is equal to or less than 20 Gwei — then the exchange will be done. Without a confirmed transaction of commission payment, withdrawal of the tokens earned in the Bounty campaign is impossible. Payment of the commission should be made from the same address to which tokens will be withdrawn. When requesting tokens for withdrawal, the platform will automatically find the commission paid from the same address, and allow the creation of a transaction for withdrawal. I would like to remind you that this algorithm works as a temporary version of the withdrawal of tokens. According to the road map, TokenGo will have its own blockchain system and the procedure for migrating tokens from Ethereum blockchain to TokenGo blockchain will be connected according to the rules described in WhitePaper. Thus, the withdrawal of tokens will not require the payment of additional commissions in ETH. In addition, its own stock exchange will soon be launched, and also GoPower will be released to alternative crypto-exchanges. Also, it’s worth noting that GoPower holders have extensive privileges, including the possibility of participating in Mining and the distribution of GoCoin internal coins between holders of GoPower in proportion to the volume of their share, as well as the “Voting Power”. More information about these privileges can also be found in TokenGo WhitePaper. And the third point I would like to tell you about is the fundraising through the ICO procedure. To date, we have collected more than 5100 ETH, which, as I have said repeatedly, is a very good starting point for our project. In the next month we plan to actively deal with the issue of GoPower tokens to the exchanges that are suitable for us, and before this moment we decided to continue receiving funds. This is also due to the fact that the payment for the participation of partners in the Bounty campaigns, before the release of the token on the exchanges, is paid by the standard method. Once the token is released to the first exchange, we will stop accepting the funds, and the ICO procedure will be finalized. I thank everyone who supports the platform from the origins of its development, as well as those who have just joined! Our strength lies in our community! I wish everyone an excellent summer season! ICO TokenGo — A New Stage!